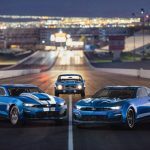 DETROIT – Chevrolet introduced two customized 2016 Camaro SS concepts that illustrate the possibilities enabled by the new portfolio of Gen Six Camaro accessories and performance parts. 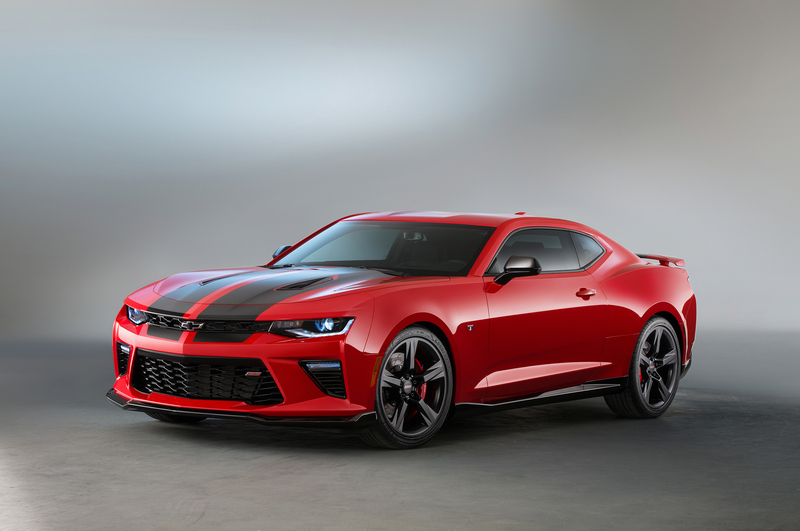 Dubbed Red Accent and Black Accent for their respective design themes, each uses components Chevrolet will offer during the first model year of the new Camaro. Engine covers for SS and V-6-equipped LT models. Customers can view many of the accessories on the new Camaro using the online Camaro Visualizer. The adage less is more applies to this tasteful-yet-dynamic Camaro SS convertible. Its Switchblade Silver Metallic exterior is accented with red accessory trim and complemented by an Adrenaline Red leather-trimmed interior. The exterior accessories include a lower grille with red inserts, red “hash mark” fender graphics, black bowtie emblems and 20-inch 5-Spoke Gloss Black wheels with Red Outline Stripe. Under the hood is a red-accented engine cover. The cabin features an interior illumination kit with red aluminum door inserts, knee pads in red, sport pedal covers, and premium SS-logo carpeted floor mats and center console cover. 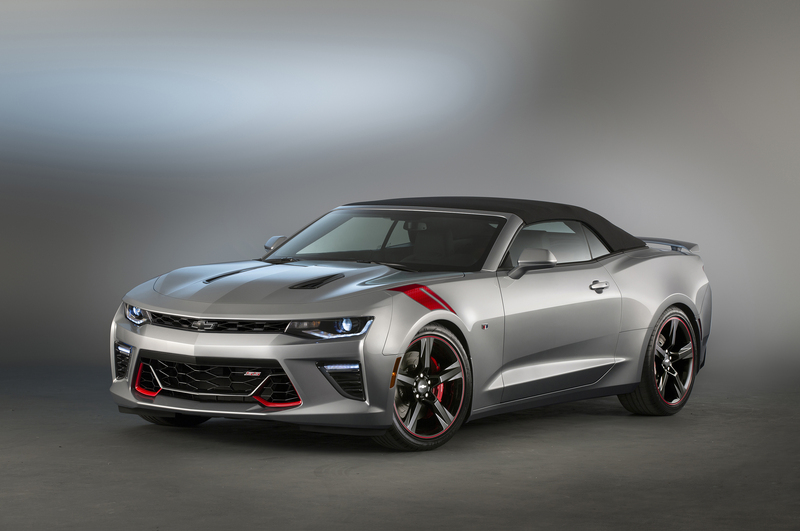 In addition to the Red Accent appearance enhancements, Chevrolet included several integrated performance kits including lowered suspension, air intake and Brembo front brakes with six-piston calipers. The Red Hot Camaro SS coupe with an added Black Accent package creates a decidedly more “tuner” aesthetic. The aggressive design uses black ground effects, darkened taillamps, satin black rally stripes, black bowtie emblems and black 20-inch 5 Split Spoke Low Gloss Black Wheels. There’s also a concept black fuel door cover. 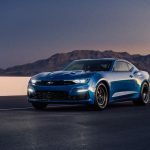 The performance suspension lowering kit and Brembo front brake package – with red calipers – completes the street-smart stance of the Camaro. Under the hood is the new performance air intake and a red accented engine cover. The Jet Black leather-trimmed interior is personalized with black interior trim and knee pads, SS-logo premium carpeted floor mats, a suede console lid with the Chevrolet Performance logo and red stitching, and sport pedal covers. 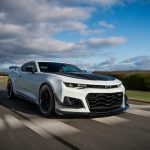 The Red Accent and Black Accent Camaro SS concepts will be displayed at the 2015 SEMA Show, in Las Vegas, along with more than 20 Chevrolet vehicles with production and concept accessories and performance parts.